Back in December, AgileBits released 1Password 4 for iPhone and iPad. The app presented a completely revamped take on password security, but lacked feature parity with the Mac version of the software. 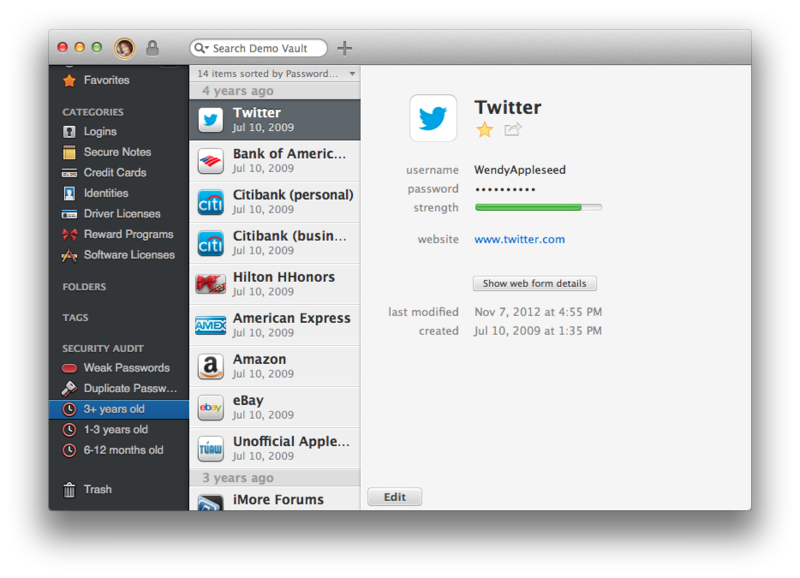 Today, 1Password for Mac has been updated to version 4, bringing a ton of new features to the Mac. In fact, the update brings so many new capabilities that the Mac version of 1Password has now surpassed the iOS version in features. This is a massive release with a completely redesigned interface, overhauled browser extensions, support for new types of saved items, enhanced security, and more. The brand new design is the first thing you will notice in 1Password 4. Before you’ve even unlocked or created your first vault, the changes to the app’s aesthetic are clear. The entire app has been rebuilt from the ground up, dropping the “shelf” visual style in previous versions and adopting a simple list of saved items closer to the design of the iOS version. The list allows you to see more items on the screen at once and makes finding exactly what you’re looking for much easier. Of course, if you have a lot of saved items, scrolling through the list could still take some time. To solve that, 1Password 4 introduces a variety of sorting options for keeping everything right where you need it most. You can add tags to your entries and save these tags to the sidebar, much like the new tagging feature in OS X Mavericks. If tags aren’t your thing, 1Password 4 also includes Smart Folders. Again, these function like their OS X namesake. You can create a folder that automatically populates with items based on a variety of filters you determine. While it may seem confusing to have both tags and smart folders, which seem to serve the same purpose, AgileBits has said that they provide both because different users like to sort their data in different ways. Those who prefer tagging or smart folders over the other can use whatever they are comfortable with or a combination of both. The actual saved items in 1Password 4 have also received some significant updates. For instance, you can now save multiple URLs to the same login card. In 1Password 3, you would have to save a separate card for iCloud.com, the Apple Store Online, and the Apple ID management page. With 1Password 4, you can simply add all of those URLs to the same card. You can now auto-fill as many websites as you need with just one card. Saved items can be added to a “favorites” list just like in the iOS version. This list makes it easy to find logins you frequently without having to sift through the ones you rarely use. You can also search from the 1Password mini or main 1Password window to find exactly what you’re looking for. 1Password 4 also adds support for multiple vaults. This is a huge feature for multi-user setups where everyone wants to save their data in 1Password but doesn’t want everyone else to have access to it. 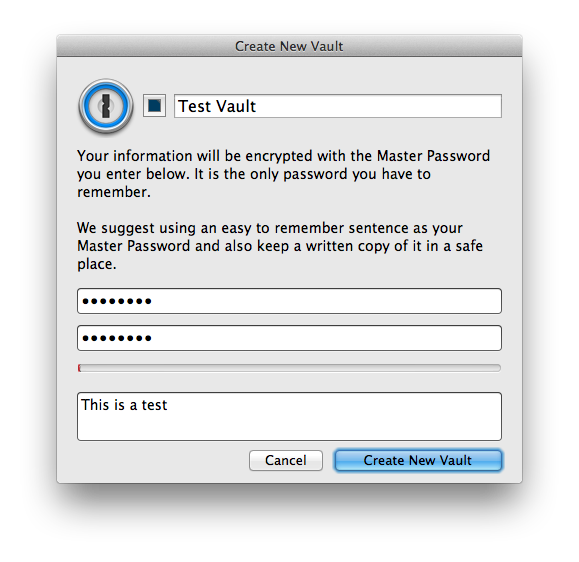 Each vault has its own password, icon, name, and lock status. Unlock the primary vault and the others will remain locked. Lock one of the secondary vaults and the other currently-unlocked vaults will remain unlocked. Unfortunately, multiple vault support doesn’t exist on iOS, but you can select separate syncing solutions for each vault. 1Password 4 enhances data security by encrypting more information (such as item titles and URLs), introducing a new format for the app’s data that is much faster than previous versions, and sandboxing the App Store version to comply with Apple’s requirements. Security is further enhanced by an all-new feature called Security Audit. Frequently updating your passwords is a good security measure, and Security Audit makes it much easier . This feature shows you which of your passwords have been in use for a while, giving you an idea of which ones you need to change. It can also show you if you have any duplicate passwords used across multiple sites, and if any of your passwords are weak or easy to crack. There is no other way to put this: previous 1Password browser extensions were buggy, unreliable, and frequently failed to sync with the 1Password data base, leaving them with out-of-date information or no information at all. 1Password 4 fixes all of these problems by introducing one of my favorite new features in the update: 1Password mini. It is, as you might guess, a miniature version of 1Password that runs in the background at all times. The mini window can be triggered anywhere at anytime with a universal keyboard shortcut (⌥ ⌘\ by default). From here you can access and search for any of your saved items, open and auto-fill websites, generate and save strong new passwords, switch to a new vault, open the main 1Password app, and make changes to any of your existing entries. Each entry in the mini app also features an “anchor” button that allows you to pop that item out into a separate window that will remain open when you close the mini app for easy access. The browser extensions have all been updated to simply open this mini app and receive login info from it, rather than attempting to do everything within the extension. That means that instead of the extension having to sync up with the data from the app and sometimes being out of date or unable to read the database, it simply asks the app to do all the work. Because the extensions now pass the work to a native application rather than an HTML/CSS lookalike, the extensions are far more reliable and much faster. 1Password 4 finally brings iCloud syncing to the Mac, but there’s a catch. In 1Password 4 on iOS, you can enable as many syncing solutions as you want, including Dropbox, iTunes file sharing, and iCloud. Unfortunately, in the Mac version, you can only enable one at a time. That means if you have a few iOS devices or Macs and nothing else, you can drop your dependence on Dropbox for syncing your 1Password data. If you use an Android or Windows machine, you’ll need to use Dropbox syncing, which prevents the Mac from enabling iCloud support. This can be a bit frustrating as iCloud is faster at syncing than Dropbox, and doesn’t require a third-party storage service to hold your data. 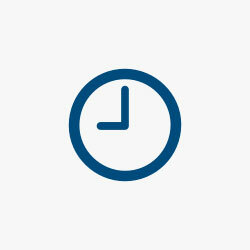 A new syncing solution has also been added to 1Password 4 on both iOS and Mac. Wi-Fi syncing allows you sync your data over a local network and requires no online storage at all, including iCloud. Setting up and using Wi-Fi Sync is quick and painless and provides additional security for your data. If none of the syncing options suit you, you can select a specific folder to use as the sync point for your vault. This means that you’ll be able to use third-party syncing solutions like SugarSync even though they aren’t “natively” supported in 1Password. Sharing your data with others is also possible in 1Password 4. You can now send cards to others over iMessage or email, allowing them to add these cards to their vaults for easy access to shared accounts. There are so many great new features and tweaks in 1Password 4 that we simply can’t cover all of them in this review. In fact, when you run 1Password 4 for the first time, you’ll be presented with a welcome screen that attempts to explain all of the changes in-depth, but ends with the developers confessing that if they did that, the document would last forever, and opting to simply create a short list of previously unmentioned changes. The fact that even the developers had a hard time finding a way to summarize all that’s new in 1Password 4 should tell you all you need to know: this is a massive update. It’s the best version of 1Password for Mac to date, and I highly recommend installing it as soon as you can. The best feature introduced in 1Password 4 is the upgrade price. Existing users of the App Store version can download today’s update for the low, low price of absolutely nothing. 1Password 4 is a free update from the Mac App Store. If you bought previous versions of 1Password from the AgileBits website in 2013, you will get a free upgrade to version 4. If you are a new customer who doesn’t own 1Password for Mac, you’ll get a special introductory price of $39.99 on the Mac App Store and AgileBits website. If you are an existing customer who purchased 1Password for Mac prior to 2013, you are eligible for a special introductory upgrade price of $24.99 from the AgileBits website. Once the introductory prices have ended, the full price for the app will be $49.99, and the full upgrade price will be $34.99. Yes, this price is high for a single app, but the security and ease of use provided by 1Password make it absolutely worth it. I have used 1Password for years and I cannot imagine trying to manage my passwords without it. If you buy one app this year, make it 1Password for Mac.